*update: This $3 million fiber network project kicked off in Downtown Eugene on March 21. The project is expected to take 18 months. On March 21, Eugene will light up a new era in connectivity for their downtown. It is another chapter in a team effort between many public and private entities. Public-private partnerships can be controversial, but Eugene is showing that with the right shared goals local teams can make an impact on their community. In Eugene, the focus is on economic prosperity and how high speed Internet access enables that outcome. Today’s business can be constrained by the limits of available Internet services. 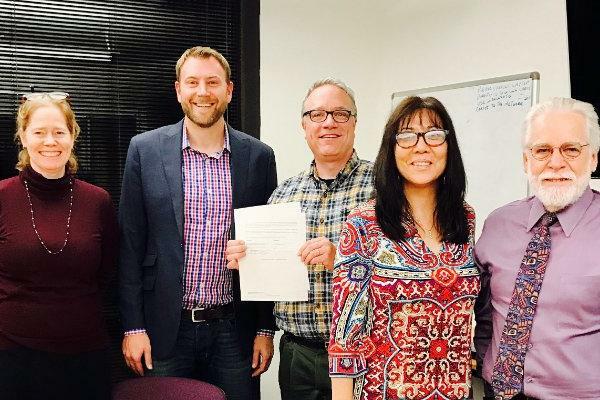 The Eugene Water and Electric Board, the City of Eugene, Lane Council of Governments (LCOG) and the Technology Association of Oregon (TAO) are equipping their community for a renaissance of connectivity. Together, the groups are systematically addressing the weak points in the local offering, creating an environment where private sector Internet service providers can bring faster and more affordable services to market. The first problem was bandwidth. Even in the dense downtown, many companies could not get connectivity that is fast or robust enough for a modern business applications. Even a non-tech business relies on connected applications like Dropbox for storage and sharing, Salesforce for customer relationship management or Microsoft Office 365. Separately, a survey of downtown tech businesses revealed that 200 more jobs could be immediately created by increasing bandwidth and speeding connectivity for businesses. The city is taking a multi-pronged approach to the problem. First, they are deploying fiber optic connectivity to the downtown core. Through this open access network, private Internet service providers, such as the local company XS Media, can provide gigabit and multi-gigabit internet services. In order to make that access fast and affordable, they also had to address the “middle mile” connectivity. As a smaller city, Eugene had limited connections to the main nerve centers of the Internet. This decreased performance and increased the cost for all Internet subscribers. 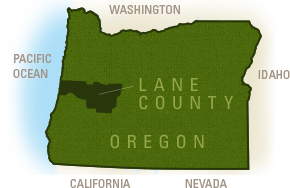 The City of Eugene, Lane County, Lane Council of Governments and TAO partnered to purchase two 100 Gigabit fiber backbone connections to significant Internet points of presence in San Jose and Portland and plan to sublease them to any Internet service providers in Eugene who want to make use of them. 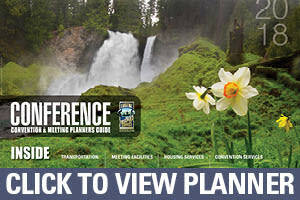 This new regional infrastructure comes online March 1. XS Media, which has 16 years experience servicing rural clients, plans to use this new infrastructure for commercial services and to reduce the cost of a new high speed residential service. In the last two years the company has taken a risk, as one of the first ISP’s to offer high speed services using the new open-access fiber network. With the expansion of the network, XS Media is poised for expansion. “We have outgrown our current office space and opened a new office downtown February first. By the end of 2017 we plan to double our support and operations staff. A lot of that growth has to do with coming up with a service that local people are craving,” said Parac. By bringing better connectivity to town existing businesses can grow. For instance, Pipeworks, the largest video game studio in Oregon, has a global reach but is limited by infrastructure. Currently, they contort their work around available Internet services. “We have a 40 Mb/s internet connection, and do a lot of work with bandwidth-intensive live streams. When someone in the office is going to stream, they send an email around the office asking all the rest of us to stay off the Internet for a while,” said Pipeworks CEO Lindsay Gupton. As you can imagine, that slows the staff of a technology company down. Once the new municipal fiber network is available, Gupton said they can have multiple people streaming and they can start pursuing new business partners. Companies in the Silicon Shire continue to innovate. Recently, Amazon Direct Connect became more widely available there, which means that users of Amazon Web Services can now have fast and inexpensive connections to their cloud based applications. This will speed up traditional network-intensive activities like backups, but more importantly it enables forward looking technologies for which Eugene is increasingly known. Growing existing business in Eugene and attracting new ones is not just about providing the infrastructure that businesses needed yesterday. It is about providing a business environment for new possibilities to be imagined. With unprecedented connectivity offered for prices that are 60 percent of what even Google Fiber offers to their select cities, Eugene is a place that can stir the imaginations of future businesses. Joel Barker of Word Lions and Skip Newberry of the Technology Association of Oregon contributed to this story. A version of this story originally appeared in the Portland Business Journal. 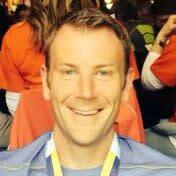 Matt Sayre is the Director at Technology of Oregon (TAO). He was named to the 20 under 40 Rising Business Star by the Register-Guard in 2015.